Capcom Opened A Human Butchery. Posted on October 3, 2012 by Big Red	in Gaming Booty, WTF Booty and tagged capcom, daily mail, games, games news, gaming, gaming news, human butchery, pr stunts, resident evil 6, resident evil 6pr stunt. Games developer Capcom launched a rather clever PR stunt over the weekend to promote the release of Resident Evil 6 by setting up a human butcher’s shop in Smithfield Meat Market, East London. Entitled Wesker & Son the fake business premises played host to human hands, feet, arms, torsos, legs and even a full cadaver all made out of actual meat for people to buy. If you wanted a human hand it would’ve cost you £5.99, while feet were £6.00 and thigh steaks were £2.99. 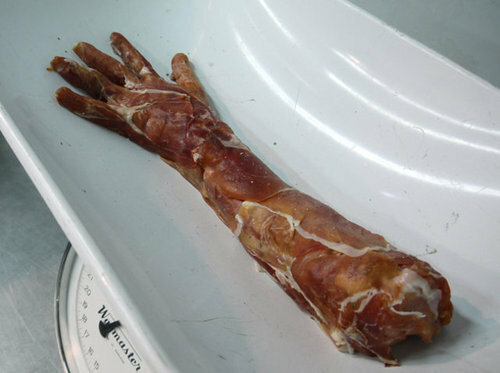 All the money made from the faux human meat sales went to the Limbless Association, a UK charity which helps those with limb loss, and assist their families and carers. ← Afternoon Dubloons – (Links In Briefs).